BeMS Essentials: Have you got yours?? 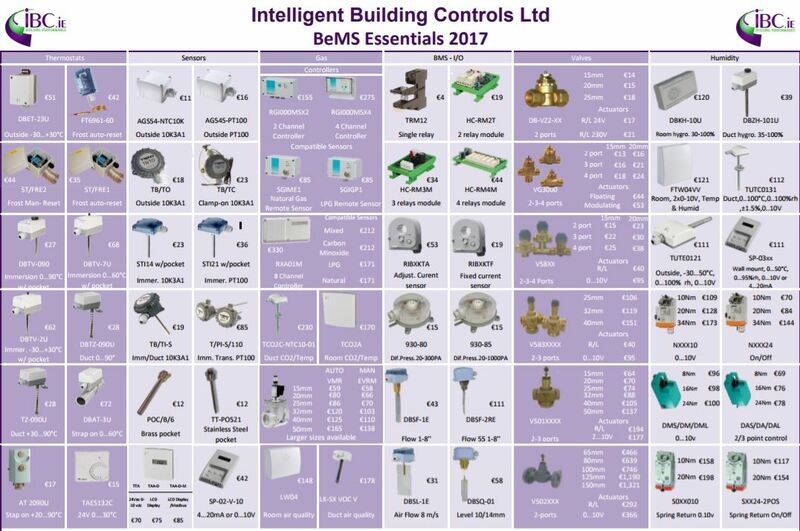 Intelligent Building Controls have produced a ‘BEMS Essentials’ chart which lists key products for BEMS applications. The chart incorporates a product image, short description and price for each BeMS essential. Customers can use the chart for quick reference enabling them at a glance to see the entire ‘BEMS Essentials’ range making it easier for placing orders.